Martin Yeranosyan, Esq. 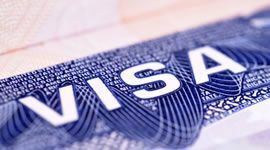 provides services for employment based immigrant visas under the provisions of U.S. immigration law. Immigration through a family member who is a U.S. citizen or permanent resident is the most common way of gaining U.S. residency. Make no mistakes, let our immigration attorney process your Green Card application in Los Angeles Law Office. Call us now! 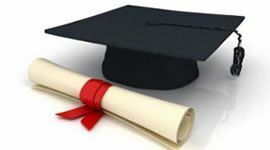 The U.S. welcomes foreign students to American language schools, high schools, universities and other institutions of higher education. 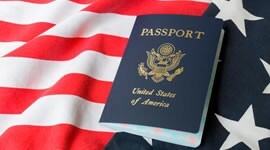 U.S. Citizens can live and work permanently in the United States, and cannot be deported or denied entry into the United States. 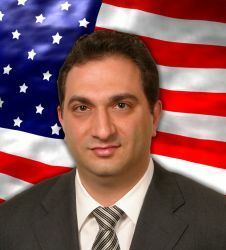 Martin Yeranosyan, PC is founded by Martin Yeranosyan who is an Immigration Attorney in Los Angeles. Welcome to the Law Office of Martin Yeranosyan, an exclusive Los Angeles based immigration law office. We handle all types of immigration matters, providing competent and quality representation to our clients. Our primary goal is to provide zealous representation to our clients' immigration matters to meet their expectations. Martin Yeranosyan, Esq., is an immigration lawyer with vast amount of experience in family and employment based immigration as well as in removal and deportation defense cases. Our Los Angeles immigration law office represents employers throughout the United States who would like to petition for foreign professionals to work for their companies or corporations in the United States on a temporary or permanent basis. We have proudly represented many clients before the U.S. Citizenship and Immigration Services and U.S. immigration courts. Mr. Yeranosyan is also experienced in handling different types of non-immigrant visas, waivers, motions, and appeals before the Board of Immigration Appeals, 9th Circuit Court of Appeals and Administrative Appeal Office. At our immigration law firm in Los Angeles, lawyers focus on Adjustment of Status, Work Visas, Family Green Card, PERM, E-2 Visa, Student Visas, Green Card Processing, and more. We constantly update our knowledge base with the most current and relevant immigration laws and changes. We provide free initial office consultations for our clients. Every client's immigration case during the consultation is carefully evaluated by a lawyer in our Los Angeles office. During this initial meeting we analyze client's particular immigration situation, review the available documents and then advice on the issues for possible solutions.